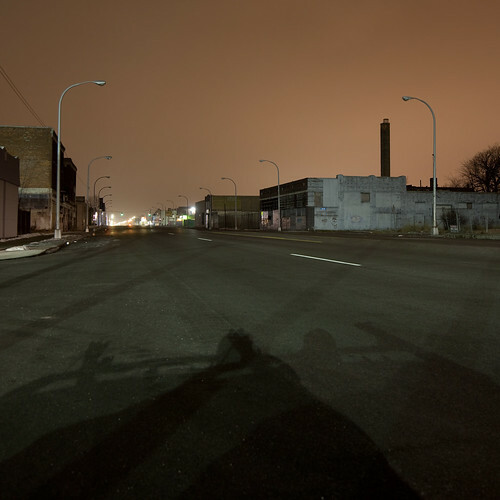 With Detroit’s pending emergency manager likely addressing the city’s failing streetlight system, and business groups funding streetlights on their own, I thought it was time to post an excerpt of a project on which I’ve been working since 2009. 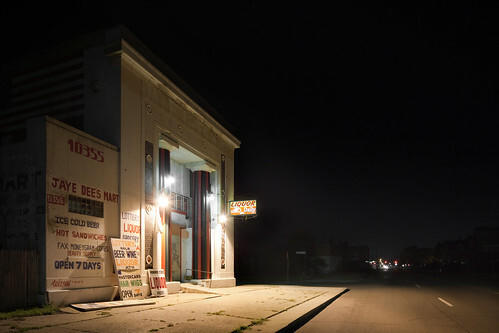 When I moved from Chicago to Southwest Detroit for the summer of 2009, I was determined to photograph more than the ubiquitous Detroit “urban exploration” scenes. 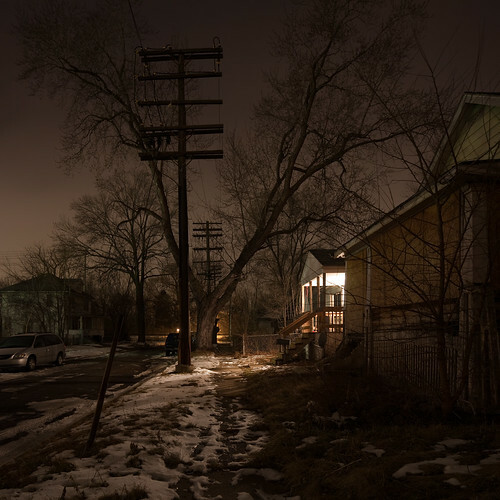 To do so, I developed strategies to photograph the built environment that could contribute to the discourse about Detroit rather than simply reinforce the dominant perception of the city as someting like an urban wasteland. 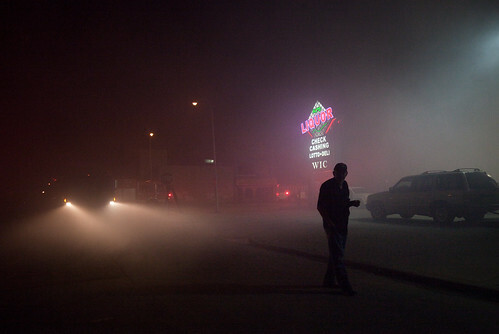 One strategy was borne from reflecting on the few functioning streetlights off of the arterial routes. 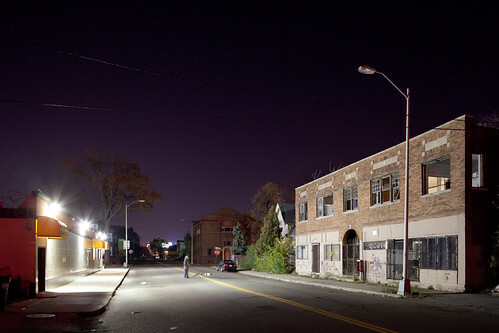 While most every neighborhood in Chicago is fairly well illuminated, Detroit neighborhoods are not. 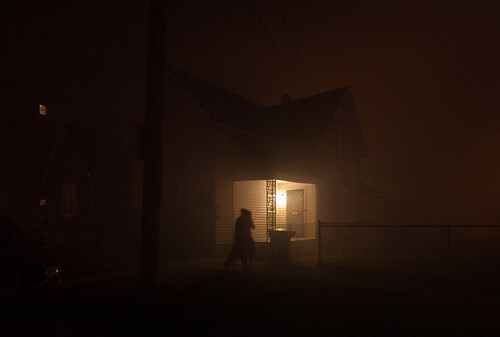 Even my street in an active neighborhood in Mexicantown was totally unlit until about a month into the summer, when one light bulb was installed in one of the many streetlight posts. 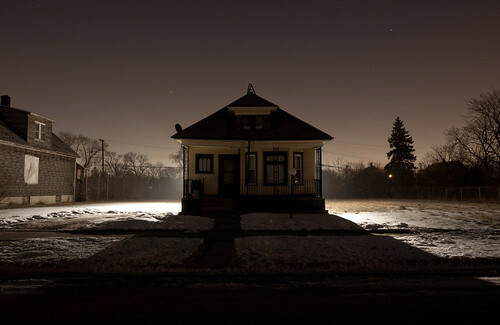 One consequence of this neglect is that residents often provide their own light. Porch lights and commercial floodlights punctuate darkness nearly as frequently as do public utilities. 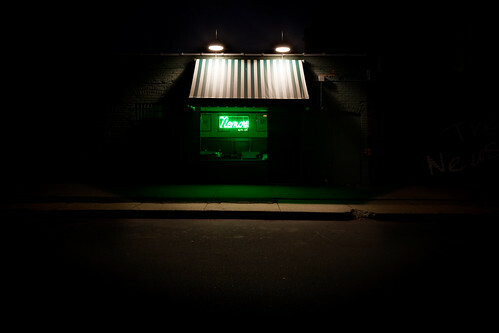 Streets take on a patchwork appearance from the hues of private light sources: the bluish whites of fluorescent signs, reds of neon gas and pale yellows of porch lights. This private provision of a public utility is begrudgingly maintained like so many other services in Detroit: perhaps as equally from altruism as protection. Consequently, the relationship between individuality and community that is obscured elsewhere by the passivity of the disinterested taxpayer is exposed by the immediate need for action. 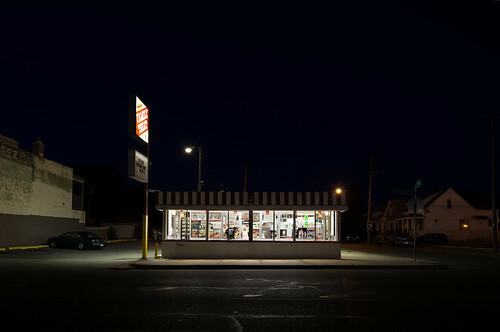 As such, the images in this series do not dwell on the absence of streetlights; instead, they focus on the relationship between lightness and darkensss. In so doing, I hope that they serve as a reminder of the commonality produced by casting light into one’s community. 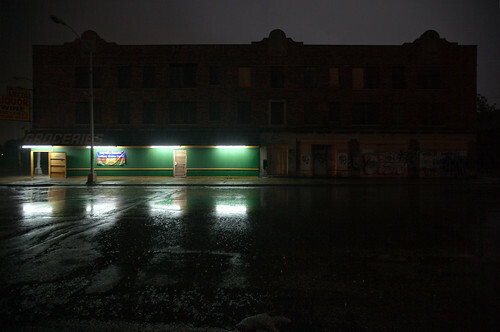 Another selection of this work was originally published in Tinne Van Loon‘s 2010 book, Impressions of Southwest Detroit. 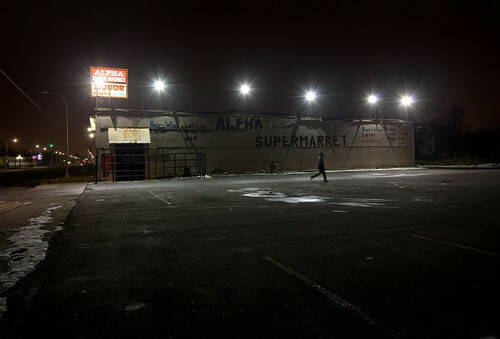 Additional photographs from my Detroit work can be viewed on the main website.